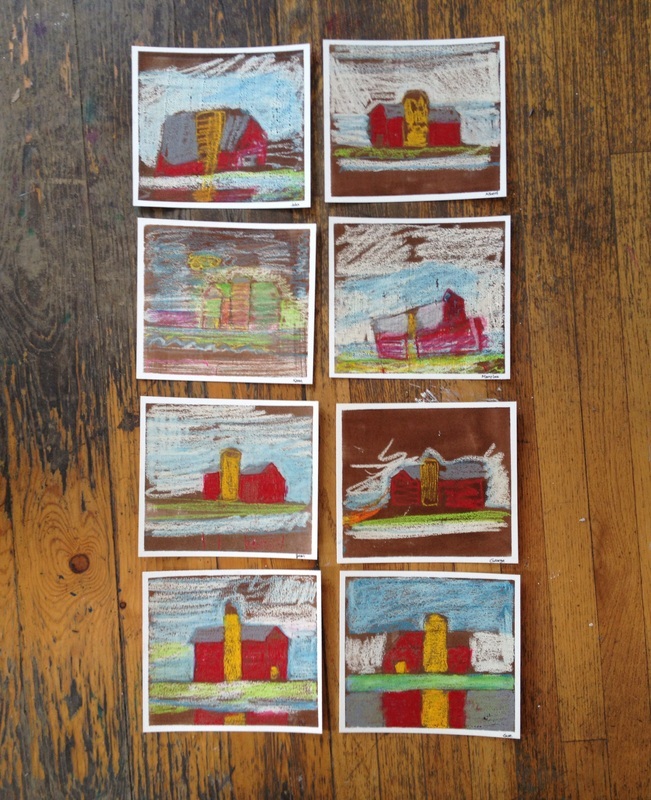 I started an outreach program at the community art school where I work (Kaleidoscope School of Fine Art). It was sparked by the vision of our Founder, Jill Funk, modeled by our Curriculum Director, Alayne McNulty, supported by the Board of Directors and funded by the BACF. The outreach is, in part, to seniors citizens who wrestle with memory loss and cognitive decline. It is also to healthy mature adults who live vibrant active lifestyles. It is to these individuals that I am forever grateful for helping me find my place in purpose-driven art. When I began working with the seniors over a year ago, I thought I was there to help them learn new skills and have fun in the process. Of course, this actually did happen with many of the individuals. It continues to happen today, but many of them have taught me that it's more about the social interaction or community, remembering old skills, and expressing creativity with safe boundaries. 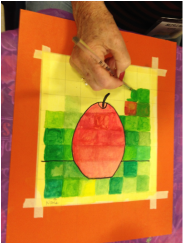 Students with memory care issues need to be reminded that they matter, that beauty is found in the marks that only they can make on a canvas or paper - and that is just what I see them creating. Affirmation is given to each student as they wait and listen for their "work of art" to be appreciated. 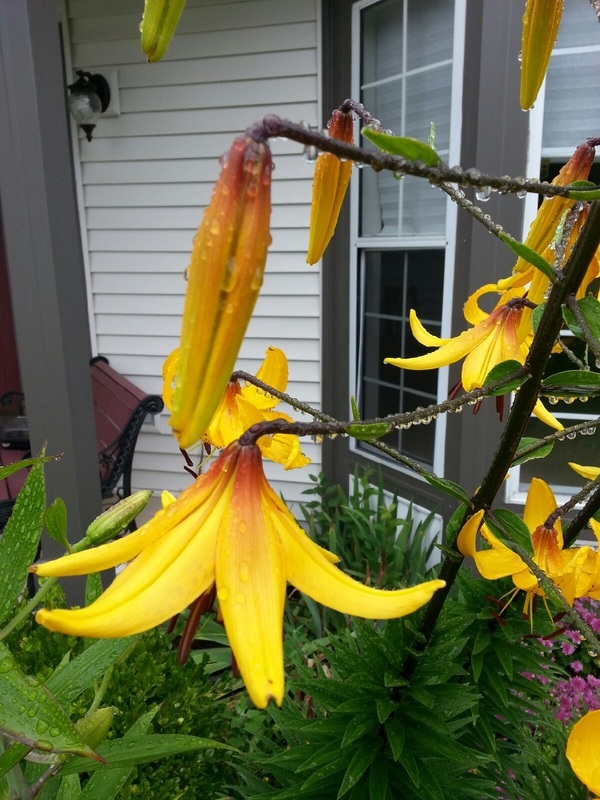 This gentle reminder that they are unique and special brings life, for a moment, to the faces of those whose memories are fading. 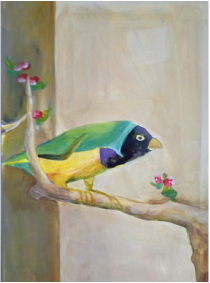 Healthy seniors with vibrant lifestyles find art enrichment to be a worthwhile endeavor. 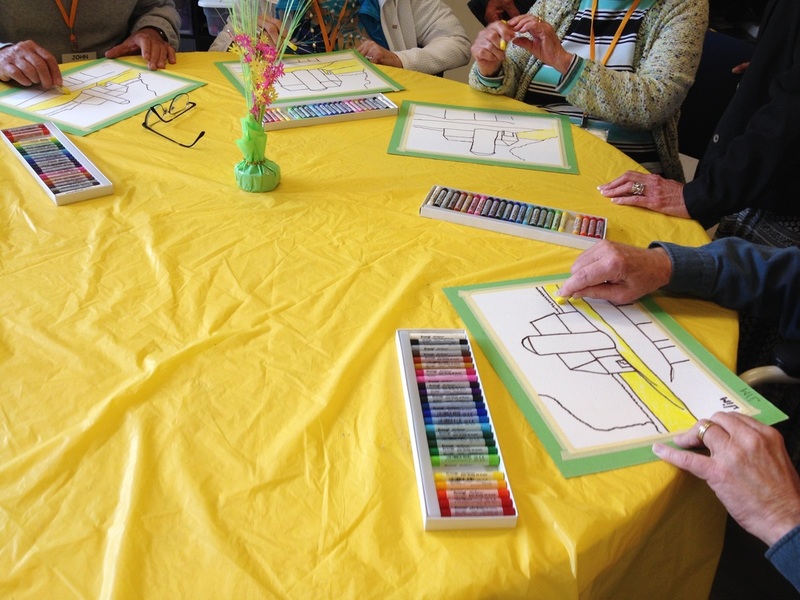 Exploration of art creates a wonderful social setting where individuals can learn new skills with their peers. Students learn about different media, growing in knowledge while fostering friendships as they simultaneously create and socialize. Below are examples of sketchbooks that I have used to spark the creativity of our precious senior citizens! The repetition of working with residents, both healthy and those with cognitive decline, has helped me get to know individuals' stories, in part. When affirming their art, I "wrap" pieces of their story around the beautiful marks I notice in their unique creation. By validating their creation, I validate them! That is what I consider purpose-driven art. Work in progress from the BACOA grant. 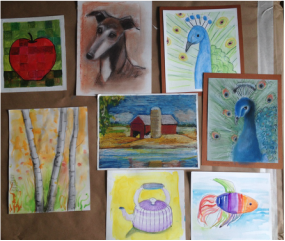 Below are all examples of artwork created in two programs made possible by a grant from the Barrington Area Community Foundation (BACF). 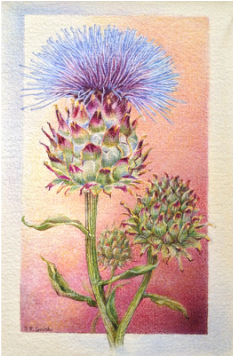 Several weeks have passed since I've completed my colored pencil artichokes titled "Artichoke-ish." Its creation was therapeutic from sketches to the final art. But lately I've been considering the outcome of my sketchbook art less in terms of quality and more in terms of process. 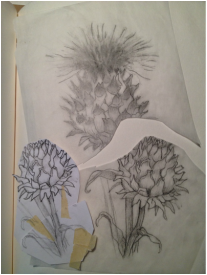 The process of making "Artichoke-ish" was enjoyable, but I am encouraged to create sketches that make a difference, not just help pass the time. There have been exciting new things involving sketches and the art making process that I've been working on simultaneously. These sketches actually change things, not just for me, but for others. They are sketches for and by senior citizens. This is my new direction In creating sketchbooks. Considering the outcome is what fuels this new topic: "Creating Community Through the Visual Arts." See my next post to find out more about this change in emphasis. 1. Cut - Cut off what you don't like. 2. Copy - Make adjustments to the elements (size, shape, etc.). 3. Arrange - Rearrange elements until you find a pleasing composition. 1. 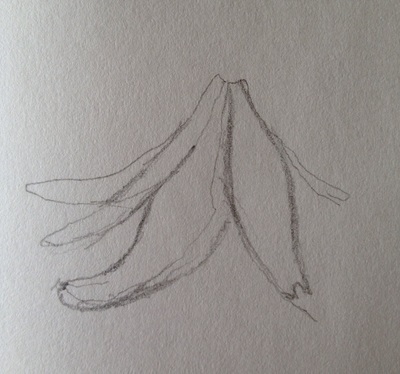 Trace - Trace the new composition with tracing paper to create a new sketch (this happens after step 3 above). 2. Transfer - Transfer the newly sketched composition onto quality paper using transfer paper (available at art supply retailers). 1. 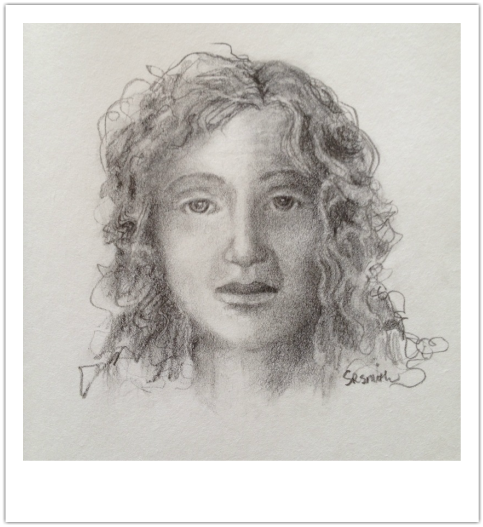 Beyond the Sketchbook- Begin your final work of art. Rule: Working on finished art replaces sketching. 2. Changing the rules in the middle of the "game." - BE OPEN to change as you go. This work in progress has changed from the reworked sketch. A box was added and more changes are sure to come! In my journey to keep a weekly sketchbook, I have found it more rewarding to focus on finished art between the sketches. The learning and practice continue through the creation of art. I'm including the unfinished "final" art as part of the process. 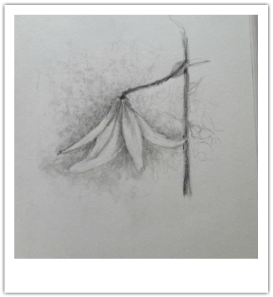 Sketchbook #33 is a revision of Sketchbook #32 in the previous post. Musical inspiration: A variety of musical genres have inspired me over the past 3 weeks. Media: Sketches #33 and #34 graphite on tracing paper. 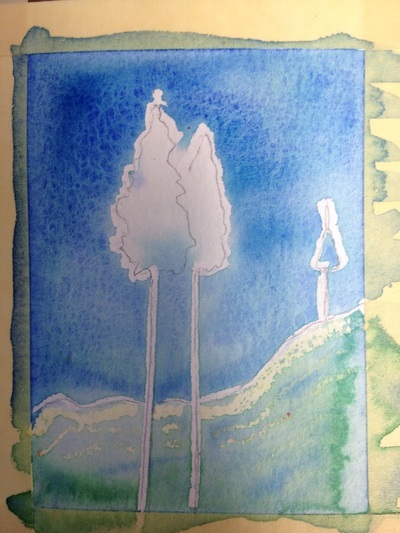 Sketchbook #35 is "final" art in progress: Colored Pencil on Arches Cold Press Watercolor Paper. Sketchbook #35 New Rule: Works in progress count as sketches! These three sketches are studies for a larger finished piece; this small "practice art" allows me to explore the best techniques to use when I create my final art. The media for each is mixed with the latter two (30-31) experimenting with wax resists. Sketch #29 is watercolor wash with a colored pencil overlay. 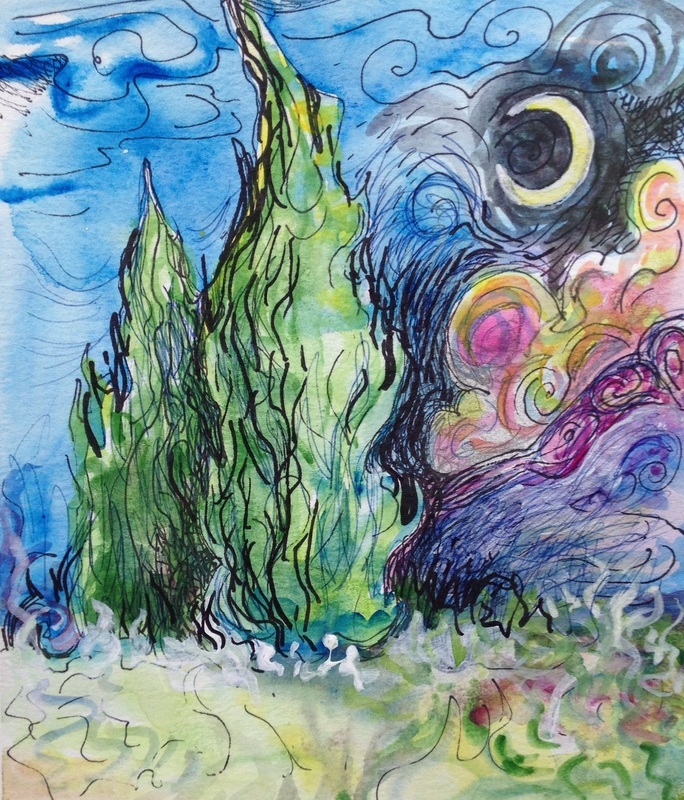 Sketch #30 is white wax, colorless oil pastel, colored pencil and acrylic paint. Sketch #31 is watercolor over a white wax outline, then colorless and peach oil pastel, followed by purple watercolor and yellow and red colored pencil. The final layer is colored pencil. This sample shows changes and additions along the way. 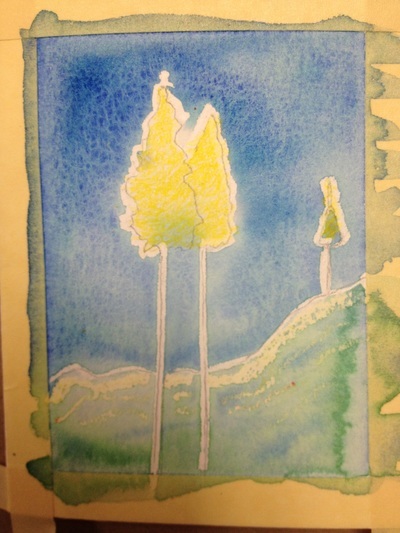 Sketching Exercise: Create a white wax or crayon sketch on watercolor paper. 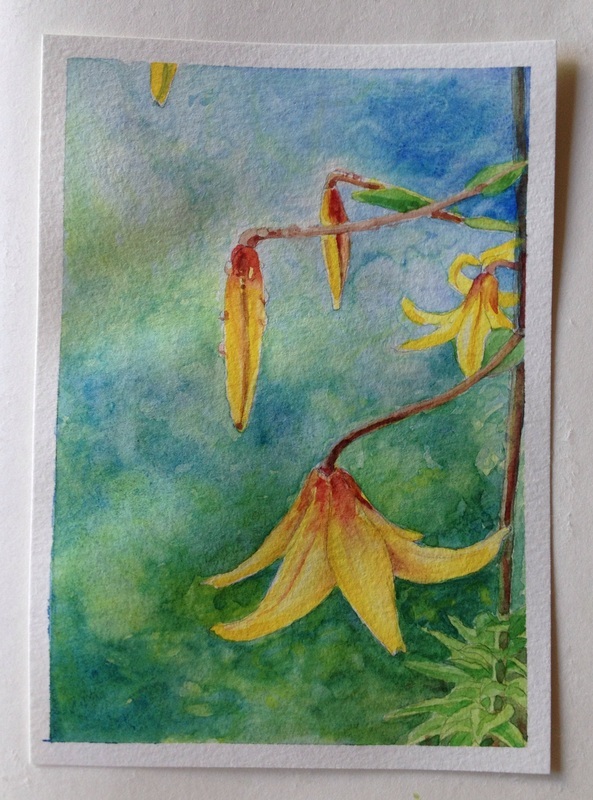 Paint a watercolor wash over it, then wait for it to dry. Apply layers of oil pastel, then paint over it with another layer of watercolor. Once dry, scratch away any oil pastel you want removed to reveal the colors below. Create a final layer to clean up any unwanted fuzzy edges using colored pencils. Step 3: Clear and peach oil pastel + c.p. After exploring more ideas related to my previous post about drawing challenges, I decided to include more of them for the month of July. Although I continue to sketch to music, it has become secondary to the process for now. 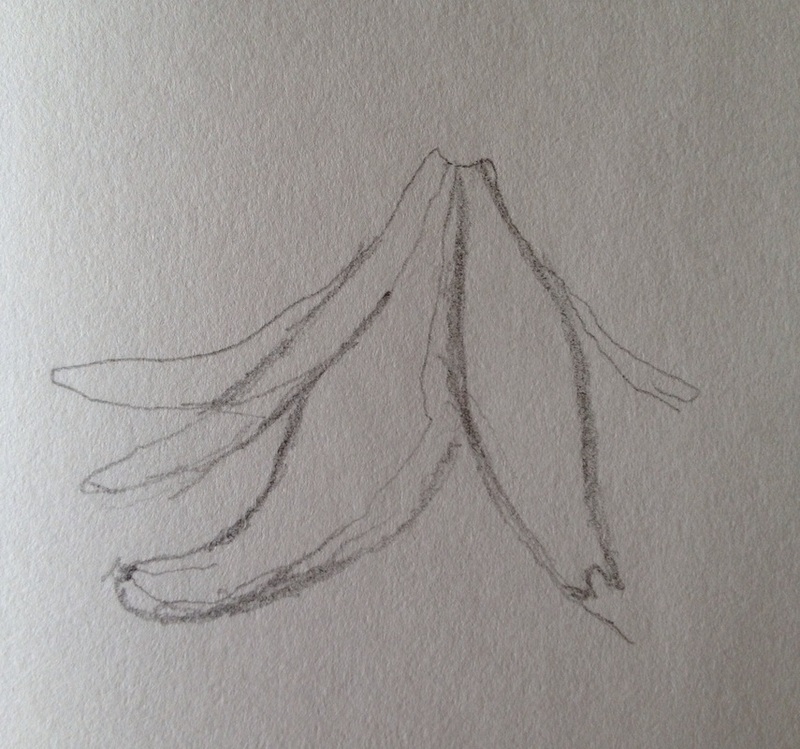 Sketchbook #27: I am right-handed; this was a left-handed challenge. I thought this would be a good brain exercise for me as well as helpful in understanding the struggle of art students who are memory impaired. 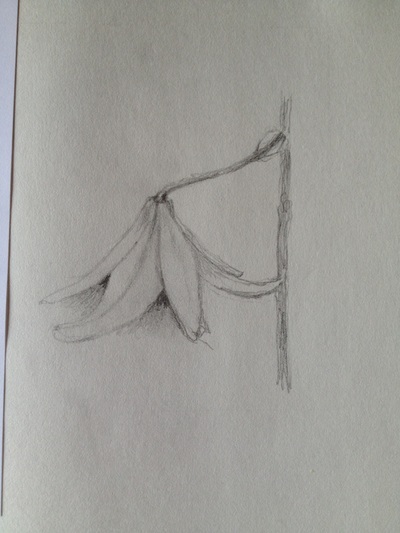 For this challenge, I chose a pencil sketch using only my left hand to draw, erase, shade, and blend a lily. It was more difficult than I expected, but not for the reasons one might think. Instead of being a challenge for my mind which I anticipated, it was physically challenging. My mind easily made the transition from right-handed drawing to left, but lack of coordination with my left hand made it slow and clumsy; it took three times longer than doing it right-handed! I can only imagine how difficult it must be for art students with no previous drawing experience who are memory impaired. I hope to explore this more in future posts. 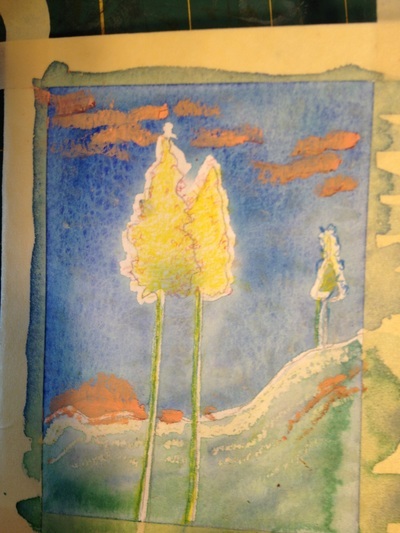 Sketchbook #28: This sketch is with watercolor- it's a study for a larger painting created using the same subject matter as the left-handed sketch. It was an enjoyable and relaxing follow-up from the previous weeks because it was created right handed. 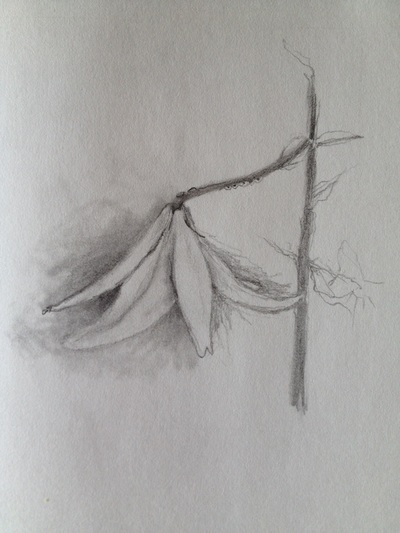 Sketchbook Exercise: Practice working with your non-dominant hand to create your next sketch. Musical Inspiration: Tranquility Radio for both sketches. 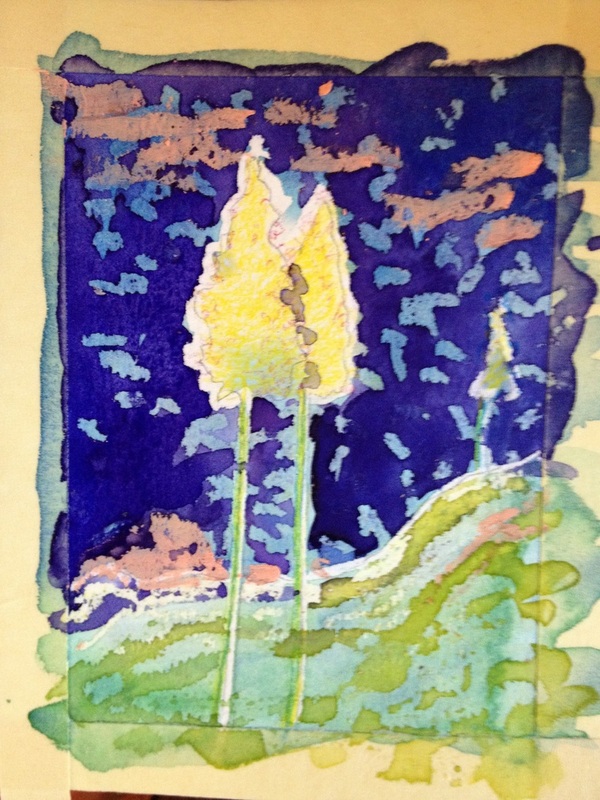 ﻿Working from a print of a Van Gogh, I taught a step-by-step drawing and painting class to senior citizens. A few days later I created this sketch (#25) from memory that followed the steps I used to teach the senior students mentioned above. I often teach to memory care residents of a local health care facility as a part of the outreach efforts of my employer. Wanting to challenge my own memory, I like to try "new" types of sketches; drawing from memory has always been difficult for me. I typically work from life (things in front of me) or photos, or anything I can look at. It was a new direction creating this sketch to acoustic guitar music. Sketchbook #26 was another challenge for me. I used sketch #25, and created a mirror image drawing. Once the black ink "concentration" part was done, I "colored it in" using oil pastels. The process was more difficult than I expected, but still enjoyable as I "colored" to the music of Needtobreathe. Challenge yourself by trying one or both of the sketches explained above. I don't draw faces very often, but I've taught about drawing them using proportions. For a straight on view which is what I did, the eyes should run along an imaginary horizontal line about half way from the top of the head to the chin. Usually there is about one eye's width between the eyes. The nose should run straight down between the eyes, and the lips usually fall halfway between the tip of the nose and the chin. I didn't show ears, but the top of the ear is typically even with the eyes and the bottom of the ear is even with the end of the nose. Of course, each persons face is different, so the proportions are only a guideline. The person I drew came from my imagination. I tried to draw using information I have practiced before, such as lighting, shading and the structure of various facial features. The expression on the face looks tentative to me. I like that it came out that way, because I was uncertain about the music- mostly sung in Italian lyrics. I was also tentative about the sketch since I wasn't using a visual reference. 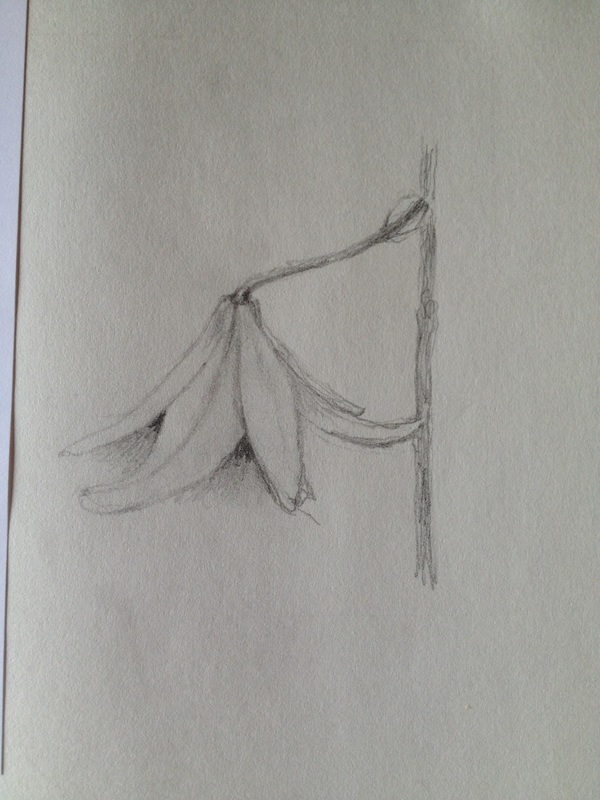 One wonderful thing about the habit of sketching is the more you do it, the braver you get. It's fun to try things outside your comfort zone. 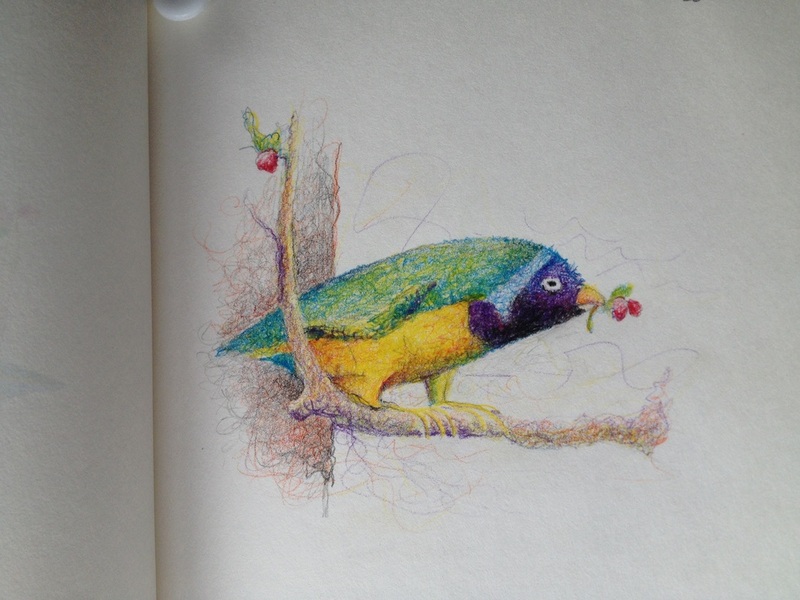 Sketchbook Exercise: try something new this week! On Memorial Day we remember and honor the men and women who have given their lives to serve our country. Our freedom has come at a great cost. I am grateful for that sacrifice; it allows me to experience freedom in my life, family, friendships, faith and art. I will always be grateful.